Jazz, Acoustic, and Rock all rolled into one album - a great mixture of styles with fabulous guitar playing. Born in Rhode Island and growing up in the small community of Federal Hill, Joe and his family were not wealthy people. Little Joe was caught with his Dad’s guitar and at that point his father realized the guitar gene was ready to be passed along. Joe was eleven at the time. Joe’s father gave him his Zimgar guitar and Joe taught himself to play by ear. During summer months in Rhode Island Joe would open the windows and wail on that electric guitar. So much for a quiet neighborhood. Over the years Joe, not being able to afford any lessons, continued to teach himself songs and techniques from all types of well-known guitarists. These included his father, The Beatles, Chet Atkins, Roy Clark, Alvin Lee, and many others. Joe became obsessed with learning everything he could about playing the guitar. He would wear out records playing solos over and over again until he mastered them. Once Joe attended a Lovin’ Spoonful concert to see how the guitar solo was played in the song, Do You Believe in Magic. Once the song was played he left the concert so he could get home to practice it. Over the years Joe continued to master his guitar playing and added a voice to his music. While this album contains only one vocal song Joe has completed many others and future albums will contain more vocal tunes. Joe has been in many bands throughout the years, from Rhode Island to Southern and Northern California. Northern Nevada and now in Arizona Joe continues to write and play music. His styles include jazz, rock and roll, and ballads. Joe can make his guitar sing and many musicians have come to see him play. This kid from Rhode Island, teaching himself to play, and now being able to share his music with others is a dream come true. 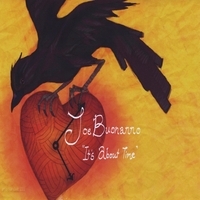 I have enjoyed many live concerts by Joe, and this album is a culmination of mostly his non-vocal efforts. Anyone enjoying relaxing tunes with a melodic flair, you must give this a listen. I got to listen to tunes as they were individually completed, and with each listen, I wanted more. The music world will be hearing much more from this spectacular artist.